Increasing growth of Internet created a high demand for IPs and made the job of IP allocation a tougher one. To avoid this situation of requesting additional IP addresses was avoided by the introduction of IP subnetting. The IP subnetting was introduced so that the local network will be more adaptable to changes when a new physical media is installed, when it has to be split into two or more networks. Say for example in an office if they needs a seperate network for the administrative purpose and which should not get interfered with the office purpose ones. But the main purpose of IP subnetting is to reduce the heavy traffic loads. Security can also be increased with subnetting by preventing access to a particular network from others. 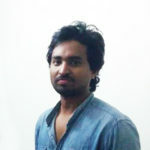 Basically it allows a single shared network to connect to the internet so that the organisation will have multiple connections without having any extra IP address space. Subnetting a network in simple words is representing network bits by 1s and host bits by 0s. As mentioned earlier we divide host bits for subnetting so we are reducing the host ID for the subnet ID. Class A have 24 bits to split, Class B has 16 and Class C have only 8. Let’s take a Class B IP for instance. 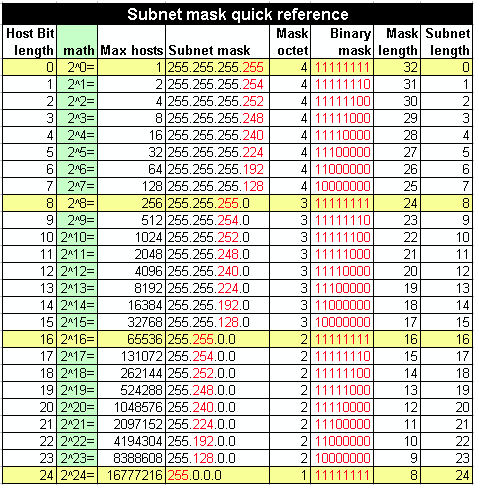 Number of hosts per subnet is calculated by formula (2^n)-2 where n is the number in host bits. (2 subtracted is for, one is the network id which is the first IP in the network and last one will be the broadcast ip). i.e All 1’s and all 0’s are not permitted for subnets. 255.255.248.0 is the subnet mask of the the subnetting we done for the IP 172.16.5.1. The above case is just an example as subnetting is done for a required number of hosts per subnets. We can calculate the network id by performing a bitwise logical AND operation between the IP address and the subnet mask, then setting all the host bits to 0s. Similarly, the Broadcast Address for a subnet by performing the same logical AND between the IP address and the subnet mask, then setting all the host bits to 1s. Decimal notation – 172.16.0.0 will be the network id and 172.16.31.255 will be the broadcast address. The first three subnets can be divided with a mask of 255.255.255.192 the network can be divided into four subnets each with 64 hosts. The last two can be divided into two subnets each with 32 hosts by using a mask of 255.255.255.224 . This satisfies the requirement also by eliminating the possibility of high number of wasted host addresses. It is a methodology of allocating IP addresses and routing Internet Protocol packets. This method was introduced to keep Internet from running out of IP addresses. Though the concept of subnetting addressed a major difficulties in classful addressing they couldn’t tackle the problem in general terms. Anyone having a requirement of more than a 254 host addresses were given Class B address block which have 65534 host addresses. This is really unacceptable at this point of time where the requirement of Ips are on a high. The method of classless addressing was introduced to avoid the crisis. Each CIDR routing table entry contains a 32-bit IP address and a 32-bit network mask, which together give the length and value of the IP prefix. This is represented as <IP_address network_mask>. For example, to address a block of eight Class C addresses with one single routing table entry, the following representation suffices: <192.32.136.0 255.255.248.0>. i.e Class C network range from 192.32.136.0 to 192.32.143.0 is represented as one single network. The process of combining multiple entries into a single network is known as supernetting. The above IP is also represented in another notation 192.32.136.0/21 where 21 means network has 21 bits for network id and 11 bits for host id. Perhaps this is the widely used notation better known as CIDR notation. The following figure will explain this better.